Nintendo always knows how to pull out all the stops, and for its surprise February 13 Nintendo Direct, it delivered a presentation full of surprise announcements and welcome ports. We knew the show would give us more insight into Fire Emblem: Three Heroes, but there were plenty of things no one saw coming. First up is Tetris 99, a battle royale take on the classic puzzle game that's available as a free Nintendo Switch download right this second. The Legend of Zelda: Link's Awakening is being reborn as a fetching 3D remake for Switch. We're also getting Super Mario Maker 2 on Switch, which brings back all the level creation tools and adds in some new wrinkles. Then there's Astral Chain, the newest action brawler from Platinum Games that packs in all kinds of flashy attacks and anime angst. In case you missed the Nintendo Direct presentation and want a quick rundown without spending 35 minutes watching the whole thing, here are all the highlights and announcements from the show, presented chronologically in handy bullet-point form. - Super Mario Maker 2 brings the series to Nintendo Switch, including the Cat suit first introduced in Super Mario 3D World, and "many new features." It's coming in June. - Marvel Ultimate Alliance 3 showed off Carol Danvers, aka Captain Marvel, and gave us a quick look at some of the Alliance Extreme super attacks. - Box Boy + Box Girl brings this criminally underappreciated puzzle platform to Switch, with 270 stages (the most of any game in the series). You can also play as the two-blocks-tall Qudy which will adjust your way of thinking. It's set for April 26. - In a fairly weak tease, a Super Smash Bros. Ultimate tidbit hinted that Ver 3.0, which is coming this spring, will be a huge milestone for Nintendo's flagship fighter. We'll also get Persona 5's Joker sometime before the end of April, and more amiibo figures for characters like Snake and Simon are on the way. - Captain Toad: Treasure Tracker is getting new content, with the Special Episode available for purchase as of today, with one course available now and the rest set to launch before March 14. Those who don't already own the Switch port of this charming platformer can buy the base game and Special Episode as a bundle. This paid DLC add 18 new challenges and five new courses, including pirate- and candy-themed worlds. In addition, all players will benefit from a free update that makes 2-player co-op possible in all courses. - Bloodstained: Ritual of the Night, the crowdfunded spiritual successor to Castlevania classics, is coming in Summer 2019. - Dragon Quest Builders 2 brings back more Minecraft-style construction by way of Akira Toriyama's aesthetic on July 12. It adds the option to play in first-person, as well as new methods of traversal like dashing, gliding, and swimming underwater. - Speaking of the Dragon Quest series, Dragon Quest 11 is bringing its massive JRPG adventure to Nintendo Switch in Fall 2019 as Dragon Quest 11: Echoes of an Elusive Age S Definitive Edition. It'll feature a retro mode that lets you play in pixelated form, which was previously exclusive to Japan. - Disney Tsum Tsum Festival is a party game aimed at kids of all ages, bringing the gameplay of the mobile game along with 3D minigames sometime in 2019. - Starlink: Battle for Atlas had Fox in the mix, and now the rest of the Star Fox team members are getting in on the action. Peppy, Falco, and Slippy will hunt down the evil Star Wolf pilots Andrew Oikonny, Leon Powalski, and Pigma Dengar in a suite of new missions, with each Star Fox pilot getting their own unique ability and skill tree. Starlink will also get races and faction missions in this April 2019 update. - Rune Factory 4 Special is bringing its mix of Stardew Valley and The Legend of Zelda to Switch later this year, and Rune Factory 5 is confirmed to be in development with more info to come. - Oninaki, a new Square Enix RPG from the makers of I Am Setsuna, has you crossing over to the afterlife to rescue lost souls before they turn into monsters. It's coming in summer 2019. - Yoshi's Crafted World is set to debut on March 29, but you can try out a demo level as of today. Completionists will delight at 180 crafted costumes that Yoshi can collect as fashionable protection, including a cut li'l Nintendo Labo box. - Fire Emblem: Three Houses brings the turn-based, tactical RPG series to the realm of Fodlan, where the male or female protagonist is studying the art of war at the Officer's Academy. Like a military Hogwarts, you'll choose to band with one of three houses - Black Eagles, Blue Lions, or Golden Deer - and recruit students to your cause. Instead of watching your children bond and pair off as in previous Fire Emblem games, your fellow students will bond together through combat training and intense battles. Fire Emblem: Three Houses has been hit by a delay, and will now launch on July 26, 2019. - Surprise! Tetris 99 is like a battle royale version of the classic puzzler, and it's available to Nintendo Switch Online subscribers right this second. - Dead by Daylight, the scary 4v1 multiplayer game, is getting a Switch port in Fall 2019. - Deltarune, Toby Fox's cryptic follow-up to the amazing Undertale, is coming to Switch. Chapter 1 will be available for free on February 28, with additional, paid chapters to follow. - Mech battler Daemon X Machina is getting a demo later today entitled Prototype Missions, as the developers are seeking player feedback. The full game is set to launch sometime in Summer 2019. - GRID Autosport brings its realistic racing to Switch with 100 cars and 100 circuits, plus additional motion controls, in summer 2019. - Hellblade: Senua's Sacrifice, a heartfelt, fantastical story that thoughtfully explores mental health issues, is coming to Switch in spring 2019. - A bunch of upcoming Switch titles got some love, including Mortal Kombat 11 (April 23), Unravel 2 (March 22), Assassin's Creed 3 Remastered (May 21, includes Assassin's Creed Liberation Remastered), Final Fantasy 7 (March 26), Chocobo's Mystery Dungeon Every Buddy (March 20), and Final Fantasy 9 (available now). - Astral Chain is the next big thing from Platinum Games, and we got a glimpse of the gameplay in this third-person brawler. Set in a sci-fi universe and dripping with anime style, it follows two warriors in cybernetic suits who are seemingly synced up (chained together, perhaps?) as they speak and fight in unison. You'll also get to ride a robot wolf, which is always good. Astral Chain is coming August 30, and we should hopefully get more news on Bayonetta 3 soon. 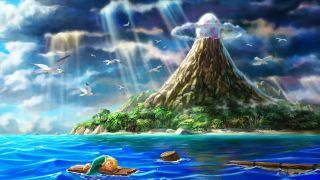 - In another welcome surprise, Game Boy classic The Legend of Zelda: Link's Awakening is being remade for Nintendo Switch, with full 3D visuals and a cute new aesthetic that looks distinct from A Link Between Worlds. It's coming in 2019. In addition, are some of the other upcoming Switch games for 2019 and beyond.